Through this three-part series, we’ve been highlighting the strong partnership and connection between Coburn Place Safe Haven and the Lilly Family School of Philanthropy. 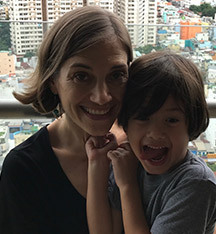 One of those connections is executive master’s alumna Julia Kathary, who serves as the executive director of Coburn Place. Since she was a child, Kathary was involved in clubs and social services. “I really enjoyed giving back and making the community better. My family struggled for a long time, which was hard,” she said. Kathary worked in a domestic violence and sexual assault shelter for 9.5 years in Evansville, Indiana before moving to Indianapolis in 2004. At that time, she was facing a crossroads of whether or not to stay in the nonprofit sector. While working in a domestic violence shelter in Indianapolis, Kathary learned about the executive master’s program, where she could work full-time while attending online and in-person classes part-time. She was able to work full time throughout the program and finish in 3.5 years. 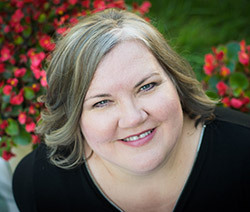 Toward the end of the program, Kathary started her own consulting business and worked mostly with domestic violence or sexual assault organizations. She focused on community-wide planning and collaborative solutions for those tough issues. Kathary worked on capacity building and a range of issues, from deepening the impact of an organization’s mission, to addressing organizational sustainability, to program effectiveness and strategic planning. Even years later, Kathary still remembers influential professors. 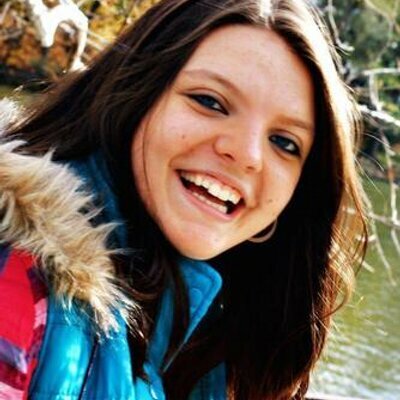 Her advice for current and potential philanthropic studies students? For current students, it’s gaining practical experience in the nonprofit sector. For future students, she encourages them to learn about all different kinds of organizations within the nonprofit sector. “One of the many things I loved about the program was how many diverse opportunities there are. You have foundations, direct service organizations, faith-based organizations, etc.,” she said. “There are opportunities in the nonprofit sector to utilize many different skill sets and turn it into something within civil society that gives back. So bring that skill set and then get innovative with it. As did many, I first became aware of Lake Institute on Faith & Giving through a prior relationship with Bill Enright. Bill is a deeply respected pastor and a great lover of the local church. Several years ago, I saw that he was teaching an Executive Certificate on Religious Fundraising course not too far from me. I jumped at the chance to attend. To my great surprise and delight, Bill invited me to become a part of a newly forming adjunct faculty for Lake Institute. I believe that I accepted the offer on the spot. 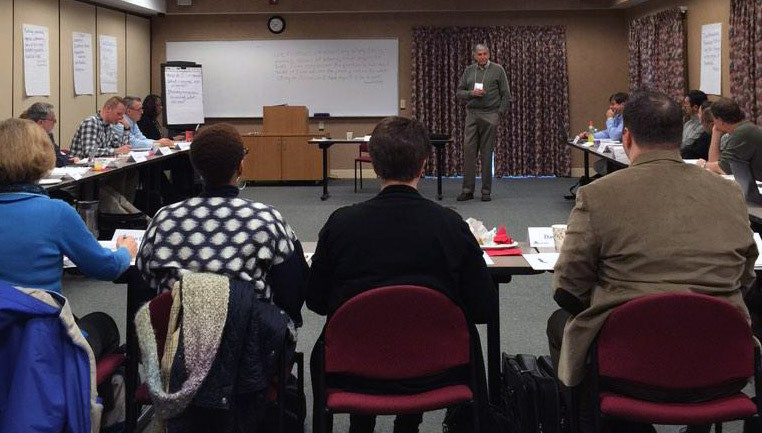 Along with teaching in the Executive Certificate program, I have had the opportunity to work with several Creating a Congregational Culture of Generosity seminars. Working with David King and Melissa Spas is always a delight. Like Bill, they too share a deep understanding of and a delight in strengthening the capacity of churches to give and thus better participate in the mission of God. When I invite people to participate in a CCCG, I usually begin with words like this: Of all the stewardship and giving programs, I do not know of any that compares with the CCCG. It combines innovative research with a profound theological integrity. That is no small feat in the contemporary context. Furthermore, the goal of the seminar is not to fix problems, but to change congregational cultures. And that starting point makes all the difference. Of course, many attendees at first are hoping for a program that can quickly remedy the problem of decreasing funding. But as the material is presented, most pastors and laity alike realize that there is no easy fix to the issues that many churches are presently facing. Instead, through careful analysis and a hopeful theological approach, people begin to understand the need for adaptive change. People begin to realize that a commitment to a new approach of thinking about money and giving is necessary in order to release greater generosity. One of my favorite parts of the workshop is when attendees get the opportunity to tell their own stories of generosity. Being mindful of how much they have been given and how often they have had opportunities to share with others is an exciting way to change the conversation from how little we have to how many future opportunities we have. The CCCG takes folks beyond the blame game and helps all see the importance of a diversity of roles. People often leave the workshop knowing that there will be much work to be done, but with a new commitment of working together, great progress can be made. I am truly thankful for all the good work of Lake Institute. I am most grateful for the Creating Congregational Cultures of Generosity seminars because of their ability to change the direction of local churches and renew their commitment to God and his great love for the world. 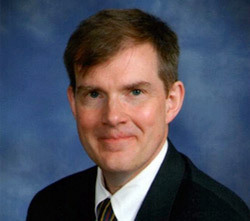 Phil earned the M.Div from Asbury Theological Seminary and a Ph.D. from Boston College. He is a member of the Tennessee Annual Conference of the United Methodist Church. After serving local churches for 11 years, he taught pastoral theology at the University of Dubuque Theological Seminary for 13. He is married to Jan and they are the parents of two children. They are also the coauthors of Ministry and Money: A Practical Guide for Pastors and the 2012/2016 United Methodist Guidelines for Finance Committees. His latest book, The Face of Forgiveness: A Pastoral Theology of Shame and Redemption was published in June 2016. In a previous post, we talked about Dr. Kathi Badertscher and the ties connecting the Lilly Family School of Philanthropy and Coburn Place Safe Haven. What’s another one of those ties? Bachelor’s student Erin Wuertz, who has taken full advantage of her internship opportunity in her time at the school and Coburn Place. She didn’t originally attend IUPUI, though. She started out at Ivy Tech and then transferred to IU Bloomington to be in the microbiology program, but soon realized it was not what she wanted to do for the rest of her life. For Wuertz, part of the school’s impact on her is a result of the faculty members. Wuertz admits that she does have a favorite professor though. That class connected her to Julia Kathary, the executive director of Coburn Place and school alumna, who came to speak to the students one day. Wuertz stayed after class to speak with Kathary about Coburn Place and explained that she wanted to open a domestic violence shelter. She continued to volunteer every Thursday night (“I just wanted to be there”). During the summer, one of the staff members suggested that Wuertz complete her internship at Coburn Place. She started as the philanthropy intern, which included administration and marketing work. Since she was obtaining her events management certificate, Wuertz subsequently became the events management intern at Coburn Place. 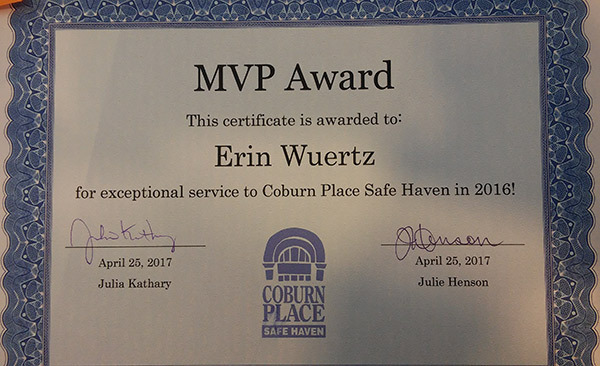 The staff at Coburn Place has made a large impact on Wuertz as well. “They have been life-changing for me. They’re all amazing and have opened their hearts and doors to me,” she said. Wuertz’s path forward is clear. Next week, we share one more connection between the Lilly Family School of Philanthropy and Coburn Place. Don’t miss it! Jacqueline Ackerman is the assistant director for research and partnerships at the Women’s Philanthropy Institute. In this post, she describes the Bill & Melinda Gates Foundation’s investment in research on gender and philanthropy. In late 2014, a program officer from the Bill & Melinda Gates Foundation’s Philanthropic Partnerships team approached the Women’s Philanthropy Institute (WPI). She shared with us that WPI’s work aligned with the Foundation’s goals, and that they had some research questions they’d like us to answer. That initial conversation opened the door to a partnership that has lasted more than three years and has transformed WPI and the advancement of research on gender and philanthropy. Why did the Bill & Melinda Gates Foundation invest in WPI? The Foundation’s two grants (Expanding knowledge, Men’s and women’s giving) to WPI come out of the Giving By All initiative, a Foundation effort to encourage more giving by all segments of society in the U.S. WPI researches one lever for increasing philanthropy: gender. Women, and their potential to give to charity, have been historically overlooked. What factors influence women and men to give more, give more intentionally, and give more effectively? This broad question addresses many aspects of giving, such as donor education, household decision-making, life cycle and demographic changes, technology, and newer forms of philanthropy like impact investing. Giving to women and girls: who gives to these causes, and where and why do they give? What factors influence this giving? How can this giving be increased, and how can more people be engaged in supporting these causes? WPI is the only organization with both the subject expertise on gender and philanthropy, combined with the rigorous methodological approach that underlies all research at Indiana University, to effectively answer these questions. What has been the impact of the Foundation’s investment with WPI? Thanks to the Foundation’s funding, WPI’s research output has increased exponentially. Before this grant, WPI released an annual research report as part of the Women Give series. Now, not only does WPI continue to release Women Give annually, but we have produced a number of additional reports on key topics in the field – and plan at least eight more releases during 2018! In addition to simply producing more research, the Foundation’s grants have allowed WPI to engage more communities and partners in discussions about how women and men give differently, and how to encourage all people to give more and to give more effectively. WPI has connected with other researchers, data providers, foundations, individual donors, nonprofits, and policy makers thanks to funding from the Bill & Melinda Gates Foundation. What has been the impact of the Foundation’s investment on the field of philanthropy? At WPI, our vision is that data and research can challenge assumptions and prompt changes in philanthropic behavior. Turning that vision into action calls for full engagement by donors, fundraisers, and policy makers alike. Thanks to the Foundation’s investment in research on gender and giving, the field of philanthropy is slowly changing to bring all people—both women and men—more fully into their identity as philanthropists. The research projects linked above were completed with funding from the Bill & Melinda Gates Foundation. The findings and conclusions in the research, and the views expressed in this blog post, are those of the authors and do not necessarily reflect official positions or policies of the Bill & Melinda Gates Foundation. Follow WPI on Twitter @WPIinsights and “Like” WPI on Facebook. First-year Ph.D. candidates Dana Doan and Tiara Dungy have spent much of their adult lives in Vietnam and South Africa, respectively. Both have thought about and engaged with diversity and privilege and they have experienced those ideas. Studying in Indiana at the Lilly Family School of Philanthropy has also provided opportunities for them to continue thinking about diversity in general, and diversity and philanthropy in particular. One of those is through the Dynamic Diversity Initiative. Doan first heard of the program the summer before she arrived. “I kept receiving the emails but felt that I wasn’t ready to apply,” she said. Doan was determined to become involved in and engaged with the local community. She met up with the founder of a volunteer group focused on social justice in Indianapolis. She asked if the founder knew any nonprofits that might be interested to collaborate on a Dynamic Diversity project. Hearing about the Peace Learning Center (PLC), Doan reached out to them. PLC would run the workshop and Doan would recruit her colleagues and faculty to work on the evaluation. Working on the project made her keenly aware of her own privilege. As a result, she asked fellow classmate Dungy to join. 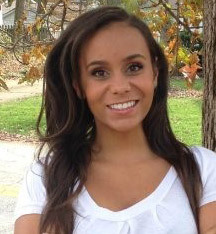 “Tiara had brought up important issues of diversity, bias, and social justice in our fall semester class discussions. So I asked her to partner with me on the project or at least be an advisor,” Doan explained. Dungy agreed to read over the proposal and decide. “The more Dana spoke about it though and the passion she brought to it made me think about my own experiences, how our biases cause us to treat people, and how it impacts our actions and everything we do. As a result, I became more and more involved,” Dungy said. They submitted the proposal together and were awarded a grant to implement the project. Peace Learning Center will facilitate the half-day workshops for IUPUI faculty, staff and graduate students on February 1 and 9 (participants attend only one workshop). Doan and Dungy will promote and evaluate the workshops, which include activities both before and after the workshops. The evaluation will involve both qualitative and quantitative methods to learn about the participants’ experiences, how their participation affects them, and what they plan on doing, if anything, about what they learn. Doan hopes that the workshops encourage participants to do something. Dungy says she hopes people enthusiastically engage with the materials and with each other. Are you an IUPUI faculty/staff member or a graduate student? These workshops (same workshop, two different days) are open to anyone in the campus community.